Finally after an extended hiatus of nearly three months, Gotham is back! After three seasons and a multitude of question marks, one of Batman’s greatest foes, The Riddler, is finally getting his name and proper costume. When we last saw Gotham, it appeared that Edward Nygma had killed his partner in crime The Penguin, and was set to continue his villainous ways. At last, actor Cory Michael Smith will reemerge in a glorious flurry of green and with a new name. Complete with an emerald green suit and bowler hat, all Smith is missing is Riddler’s signature cane. 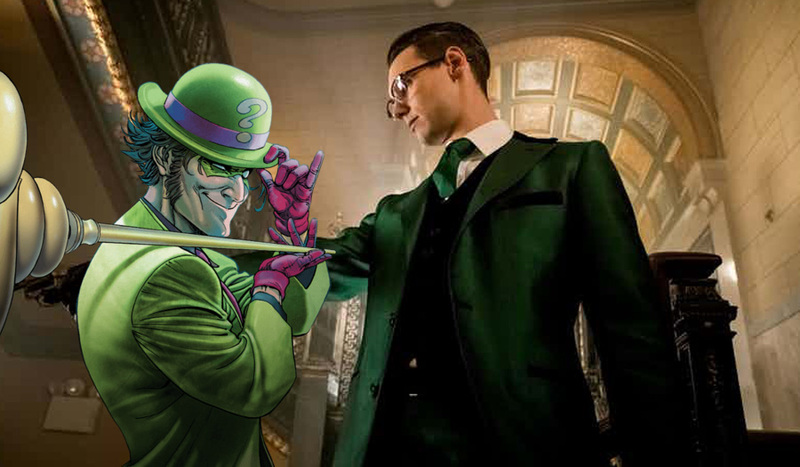 It’s so good to see Gotham adopting Nygma’s darker side once more rather than the campy versions of Frank Gorshin’s portrayal in the ’60s and the abomination that Jim Carrey took in 1995 under Joel Schumacher’s Batman Forever. Smith seems to be the perfect choice for the Riddler just as Robin Lord Taylor has been for the Penguin and I can’t wait to see how he takes the Riddler to the next level!